Many people considered Dr. Wayne Dyer as the "father of motivation". He was one of the most respected writers and speakers in the field of self-improvement and self-empowerment. In the twenty years since he published his first book "Your Erroneous Zones", his works have been translated into all the world's languages, he has been recorded on tapes, and has appeared on more than 5,000 TV and radio shows including Oprah and The Today Show and The Tonight Show. Dyer has traveled the world as a motivational speaker, holding thousands of workshops. The advice Dr. Dyer shared in his books and seminars, one might presume he had a traditional upbringing with loving parents who taught him responsible traditional values. But you would be wrong. The lessons that Wayne Dyer taught were almost all learned the hard way. 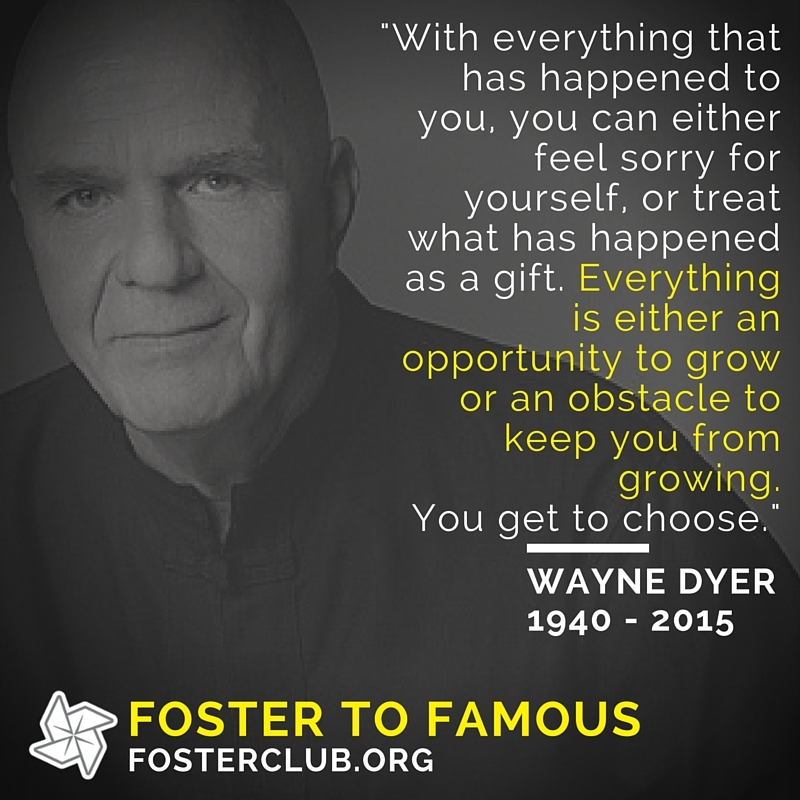 His early experience in foster care and orphanages gave Wayne a direction in his life. The former Author believed his purpose in life was to teach self-reliance. When Wayne was ten years old, his mother remarried. She and her new husband regained custody of her sons. “But the new stepfather was an alcoholic.” Dyer says, “and living with an alcoholic was a great learning experience.” Dyer dealt with his less than perfect family by taking charge of his own life and immersed himself in work. Keeping busy was always a way of life for Dyer. Starting at age 8, he delivered newspapers, cut grass and bagged groceries. He attended Detroit public schools, and by age 17, he had read 770 books. These weren’t comic books. The young Dyer was deeply influenced by transcendental thinkers such as Ralph Waldo Emerson and Henry David Thoreau. He also read and reread the New Testament (Dyer, however, doesn’t affiliate himself with any particular religion). Dyer joined the Navy at 18, and served four years then went on to Wayne State University and the University of Michigan to earn his undergraduate degree and doctorate in counseling and psychology all the while working as a stock boy and cashier at a large supermarket chain in order to support himself. Wayne Dyer has been a schoolteacher, counselor and college professor. Dyer said that, in spite of his huge success as a speaker and author, his children are what he was most proud of. He is survived by his wife and eight children with 23 years between the oldest and youngest. Dr. Wyane Dyer passed away September 1, 2015. He was 75.